German car maker Skoda is planning to introduce its SUV 'Yeti' in India. "We are currently conducting tests on Yeti to see its suitability for India. We want to bring the car to India. However, the car will be launched in India only after it is introduced in Europe," Mr.Karsten Bogun SkodaAuto India Pvt Ltd, Managing Director told the media at the Geneva Motor Show. Skoda unveiled the SUV at the Motor Show and the vehicle will be launched in the European market in the next few months with a 1.2-litre petrol engine and a 2.0-litre diesel engine. 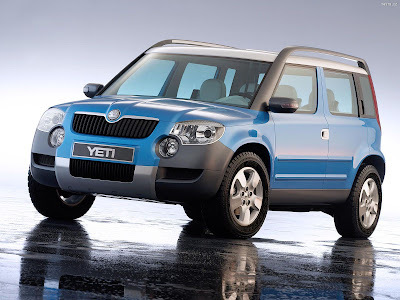 For the Indian market, Yeti's engine capacity would be tweaked and could come with a 1.8-litre petrol engine.